This is just the latest discovery which is set to transform Israel into a major energy exporter in the next few decades. A couple of years ago, Israeli and American drilling companies also found a vast reserve of natural gas off Israel's coastline. Nobel Energy discovered the Leviathan and Tamar fields, containing a combined 24 trillion cubic feet of gas. They also believe that the Levant basin, which borders Israel, Lebanon and Cyprus, could yield as much as 300 trillion cubic feet of gas. This week's developments are very interesting in the light of Biblical prophecy. Israel's annexation of the Golan Heights in 1967 has never been recognized internationally. The fact that Russia is now militarily involved in Syria, which still lays claim to that territory, makes this news all the more intriguing. The players involved in the Gog-Magog war are also interesting to note. On the one side there is Gog (located north of the Black Sea) and Magog (central Asian states), Meschech and Tubal (present-day Turkey), Persia (now Iran), Ethiopia (Sudan), Libya (north Africa), Togarmah and Gomer (Turkey again). Nations opposing them are listed as Sheba and Dedan (Saudi Arabia) and the merchants of Tarshish (possibly Western Europe?). These political alliances closely mirror national allegiances we see in the world today. 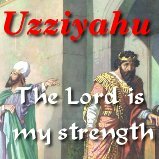 According to Ezekiel's prophecy, Gog's army will act initially as a guard to their allies (Ezekiel 38:7). The Bible says that God will put 'hooks' in Gog's jaw in order to bring him down against the land of Israel. What these hooks will be isn't explained for us, but whatever events transpire, Gog's army will ascend and come like a storm and like a cloud to cover the land (Ezekiel 38:9). At the same time these events are unfolding, Ezekiel states, an evil thought will come into this world leader's mind (Ezekiel 38:12). During the time he is acting as a protector for Iran, Turkey and his Islamic cohorts, he decides to make a move against Israel for his own material gain. 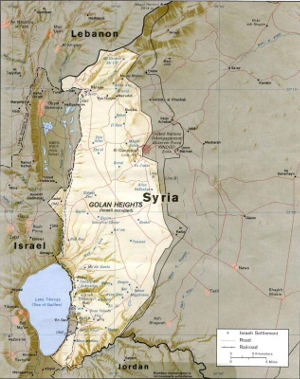 Could a significant oil discovery in the Golan Heights be one of the factors that persuades Gog to move from a protecting role to one of open aggression against Israel? We have already witnessed Russia's expansionist policy in Georgia and the Ukraine in recent years. Only time will tell what will happen in Syria. But as you can see from today's news, the stage is most definitely being set for the coming war of Ezekiel 38-39. Jesus Christ is coming again soon. We do not know the day or hour of His coming, but what is important to know is that your sins are forgiven and that you are ready to meet Him, whenever that may be. Thinking about the oil coming out of the rock reminds me of that picture of the Messiah as the Rock in the Old Testament. Deuteronomy 32:4 says of Him, “He is the Rock, his work is perfect: for all his ways are judgment: a God of truth and without iniquity, just and right is he”. The Apostle Paul takes up this truth again in the New Testament, “And did all drink the same spiritual drink: for they drank of that spiritual Rock that followed them: and that Rock was Christ”, 2nd Corinthians 10:4. Just as Moses smote the rock in the wilderness in order to provide life-giving water for the children of Israel, so the Messiah would be smitten in order to provide salvation for all who would believe on Him (Zechariah 13:7). Moses' disobedience in striking the rock the second time resulted in him being barred from the promised land. His anger displeased God because the Messiah's sacrifice for sin was to be offered once and for all, He would not be smitten a second time. Praise God that the Lord is merciful, and Moses is later seen in the promised land speaking with Christ about the decease He should accomplish at Jerusalem (Luke 9:31). Moses got the picture! Have you? God loves you so much, He sent His only Son Jesus Christ into the world to bear the punishment for your sins. He died upon the cross so you could be forgiven. 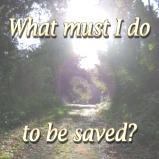 All who trust in Him for salvation can know their sins forgiven and have eternal life in heaven. Don't wait until it is too late. Believe on the Lord Jesus Christ for salvation today! There's oil in the Rock for you.